It’s rare when an NFL player actually gets to stay where he started these days, but in the case of Chargers running back LaDainian Tomlinson and the team – both sides seemed to get what they wanted. The running back agreed on Tuesday night to stay with San Diego at a reduced rate, agreeing on a three-year deal that will keep him with a bolt on his helmet. 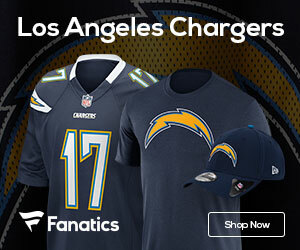 It’s good news for both sides, as Tomlinson will have the shot to rebound after a down 2008, and the Chargers get to keep a player that has been loyal as well as productive for the past eight seasons. Tomlinson also is a former MVP (2006), and will come out swinging in 09 to prove that he’s still that same player. The furor seemed to be felt on both sides, as L.T. was unhappy with GM A.J. Smith over some mocking comments he made about Tomlinson wanting to stay in San Diego, but on Tuesday nigh the GM seemed almost at ease about the deal getting done to avoid further conflict with the player. The back was due to make $24 million over the next three seasons, including $6,725,000 in 2009. His salary cap number would have been $8.8 million in 2009, including a prorated share of the signing bonus from his 2004 contract. Last season battling a toe injury, Tomlinson ran for 1,110 yards, his lowest of his career. Now the Chargers will work to get a long-term deal done with fellow back Darren Sproles, who was franchised and would make $6.62 mil this season if he does not get that long-term deal. Smith made it sound like now the team has that space to make it happen to work with Sproles.